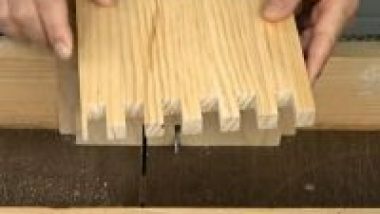 An excellent video on the processes to follow in marking out and cutting dovetails. In this case a magnetic guide is used to assist in the accuracy of the manual cut. ** Beautiful work — demonstrating the effective processes to follow in creation of precision dovetails. Jay Bates is a master woodworker and a prolific creator of excellent woodworking videos. His YouTube Channel is <Here>.